Finance Secretary Mark Drakeford, pictured, has announced a further Welsh Government investment of £20m in social care for 2017-18. The extra funding is on top of the £25m for social care provided to local authorities through the Revenue Support Grant and £10m to help meet workforce cost pressures in the final 2017-18 Budget. It brings the additional investment for social care to £55m in 2017-18, which is in line with the extra investment made in social care in England. 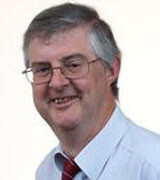 Mr Drakeford said: “This announcement demonstrates the importance that we attach to our social care sector. Read more on the Welsh Government website.